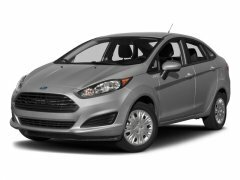 Find a great sale price on this 2019 Ford Fiesta SE at Value Ford in Elma Washington. 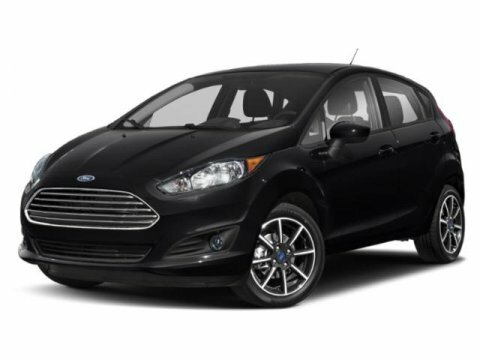 This 2019 Ford Fiesta SE is located at our Ford dealership in Elma. We also serve the cities of Aberdeen, Montesano, Tumwater, Hoquiam and Olympia. So if you're looking for a great price on this 2019 Ford Fiesta SE or just looking to get an auto loan for the vehicle you want... you've come to the right place! Value Ford. Listed sales prices include all standard Factory to consumer rebates such as: Retail Customer Cash, Special Customer Cash, Bonus Cash, Ford Credit Bonus Cash (Must finance through Ford Motor Credit to receive, on approved credit), Trade-In Assistance Cash and Other Bonus Cash. Other rebates may be applicable such as: College Grad Cash, Lease Conquest Cash, etc. See Dealer for complete details and qualifications. Not all customers will qualify for Ford Motor Credit financing. SE trim. FUEL EFFICIENT 35 MPG Hwy/27 MPG City! Smart Device Integration, Aluminum Wheels, Back-Up Camera, iPod/MP3 Input, Onboard Communications System, CD Player. Warranty 5 yrs/60k Miles - Drivetrain Warranty; SEE MORE! KEY FEATURES INCLUDE Back-Up Camera, iPod/MP3 Input, CD Player, Onboard Communications System, Aluminum Wheels, Smart Device Integration. Rear Spoiler, MP3 Player, Keyless Entry, Child Safety Locks, Steering Wheel Controls. MORE ABOUT US Spring Clearance Sale On Now! Call Or Click Today! New-Advertised sale prices are after all factory rebates including retail customer cash, special customer cash, bonus cash, ford credit cash, trade assistance cash, and other bonus cash. Customer may qualify for additional incentives.